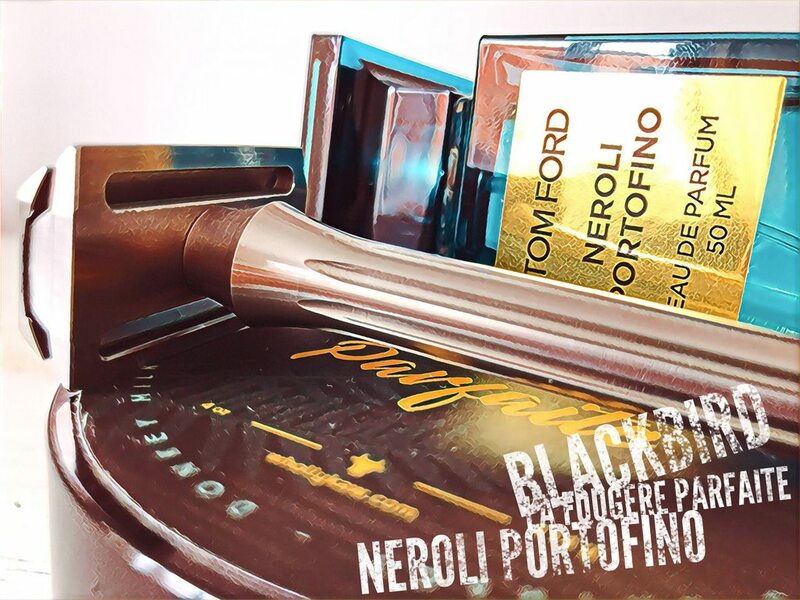 SOTD : Saturday 26th May - Friday 1st June 2018. Prep: Warm shower:/ Imperial Leather ~ Sea minerals & Black Mint Shower Gel. .
Alum Block./Cold Water Face Rinse./ Homemade Lime, Lemon+Peppermint Oil Witch Hazel Mixture./ Aloe Vera Gel. Selin ~ Turkish Lemon Cologne. 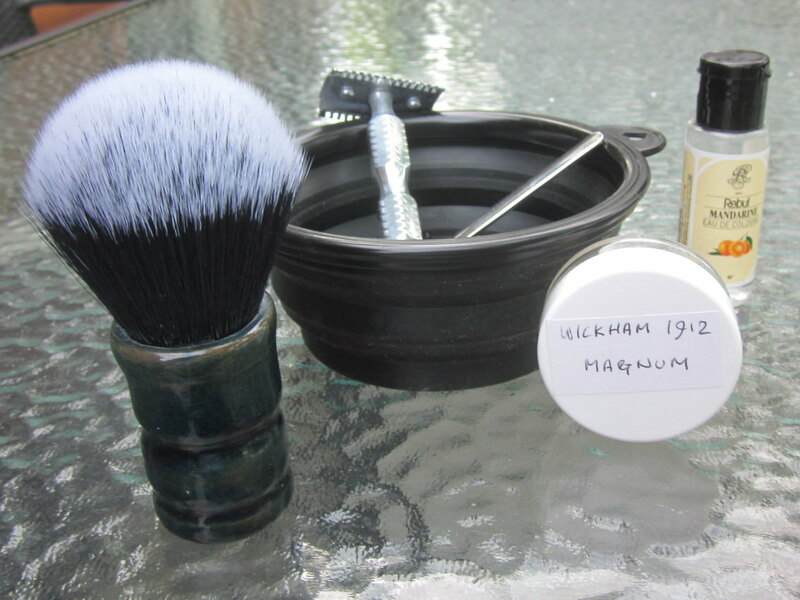 A new shave set up to start the weekend,..In my previous Shave i used the Pecksniff's Lemon,Cedar,Amber Cream...which was passed on to me, anyway even though it created a good lather, i always wondered why i had to use more than a considerable amount, to create a decent lather, i now know why "it's a brushless shave cream".I didn't read the instructions..Not to waste things, i've tried it as a Pre-Shave cream and it works a treat...Swings & roundabouts. Maiden shave with the Dorco prime platinum blade..The verdict? very sharp smooth & efficient...since the return of my Parker 87r, after been loaned out for well over a year, this little indian princess is becoming a regular favourite in my razor rotation, paired up with the Dorco p.p. was another brilliant match, the blade gave the 87r a assertive cutting edge to this mid-aggressive razor cutting through my stubble with ease. A very comfortable 3 pass + pick ups silky smooth shave with no errors to report. Finishing the shave off with a generous splash of Selin ~Turkish Lemon Cologne...Superb Stuff!. My face is feeling fresh super smooth, & smelling devine. Smooth as you like and a splash of a classic to finish. Shave's with the Streamline are always good and today's was no exception . The Krokos shave soap made with Saffron is a real treat to use, easy to lather with a glorious colour and scent. 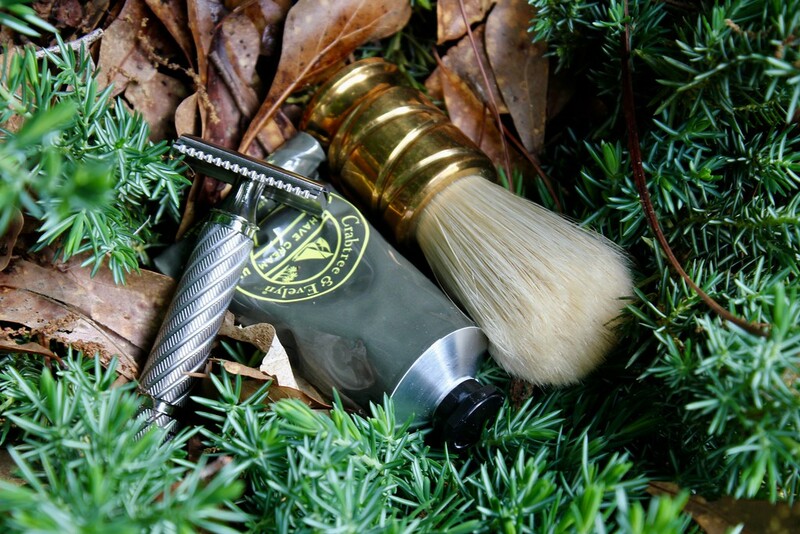 The Moka Express badger brush has exceeded all expectations and is great in both form and function . 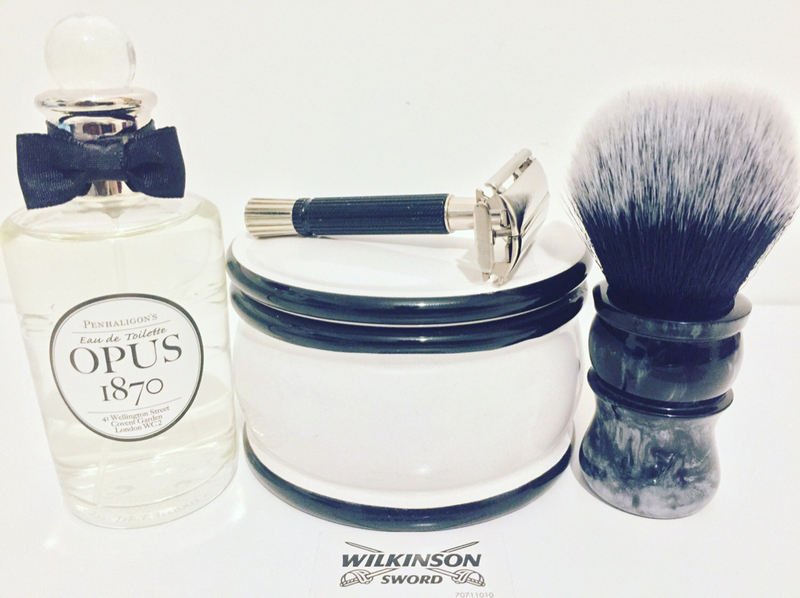 I was left with my face as smooth as smooth can be and it was a most enjoyable shave. 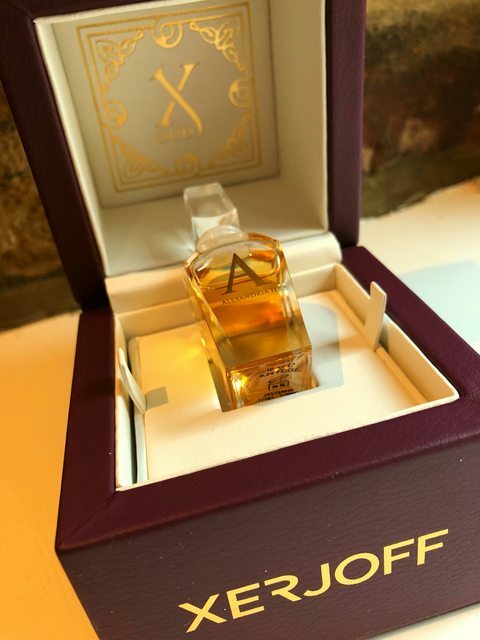 A spray of TOBS Aftershave on my face and on my body an application of Saffron Aoud with its top notes of Agarwood (Oud) and Saffron, middle notes are Sandlewood and base notes are Amber and Cedar, a perfect accompaniment to the Krokos shave soap. Wishing you all a wonderful Bank Holliday Weekend...P.
As my last shave was only about seventeen hours ago I thought the L type would be up to the job. On this occasion I wasn't wrong and the Bank Holiday weekend got off to a lovely start. The warm scents of Spitfire and Pashana were just right for this damp and bleak looking Saturday morning. On that cheery note, I wish you all a great weekend. 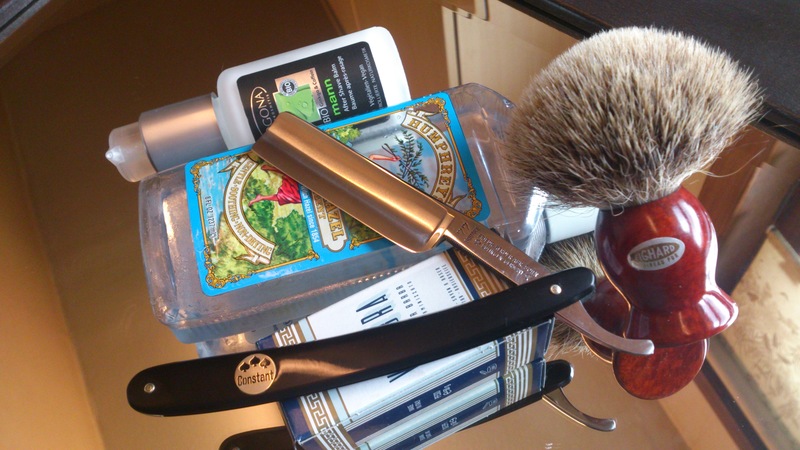 Enjoyed my first shave with the Blackbird this morning. This is by far the best looking thing I’ve ever dragged across my face, & I’m really impressed by how efficient & noisy this little razor is. Ahhh, my faith & love for DE razors is restored! Excellent two pass shave. There was almost nothing left for xtg pass after wtg but still did it. Bbs without atg was impossible to get couple months ago but now I get it almost every day. Not the cheapest shave I have had but certainly one of the most enjoyable. The PannaCrema produced a fantastic lather. Thick, creamy, slick and with a lovely green scent. A little bit of luxury acquired from my pal Carlo (@carbold). It was my first use of a Łódź blade, thanks to the very generous Kevin (@Boru62), and it matched my expectations. The blade became increasingly smooth as the shave progressed and I was left BB smooth after two and a bit passes. All finished off with a spray or two of the GIT. I have to thank the Mrs for that one. 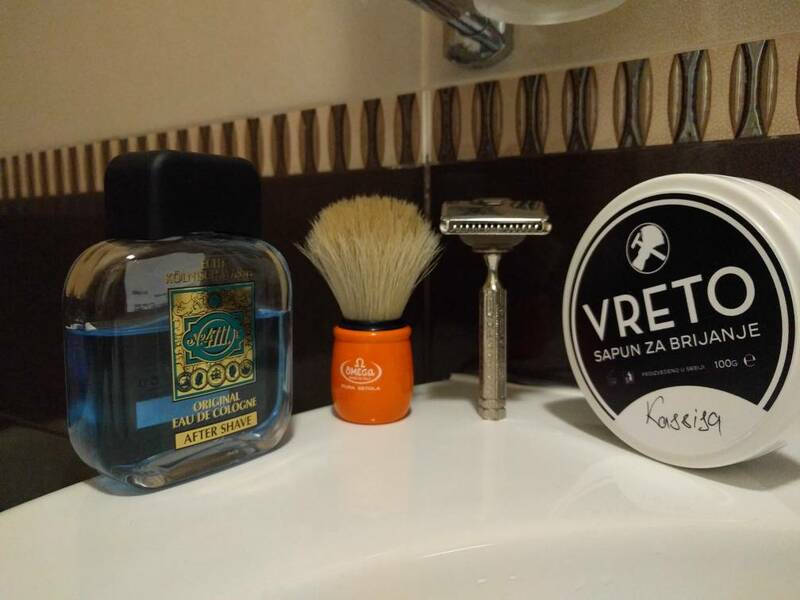 Who said wet shaving would save me money? Have a great weekend chaps. You are very welcome mate. I’m about to acquire a Fatboy BTW, looking forward to it. Thanks Carlo. Enjoy the Fatboy. It’s a great razor. Brush: M keramiek / Tuxedo. Vintage Souplex razor / custom handle. Asco Super Stainless (red wrapper) (6). Brush with ceramic handle is under test (24). 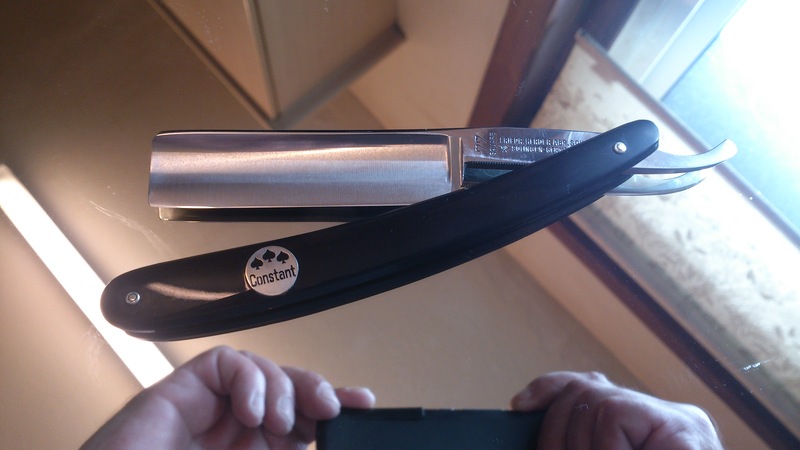 I Had a Wonderful Shave Today with My Stainless Herder Solingen 6/8th..I Feel that I Can Do No wrong with the Herder.This Auld Herder has One Keen Surgical Black Arkansas Edge...Not Shaved for a While & this Big Blade Ate My Whiskers for Breakfast..